RagaMuffins come from the original International Ragdoll, which have been bred outside the cat fancy for more than thirty years. Over twenty years ago a number of breeders abandoned the originator of the breed and her breeding program, and began breeding Ragdolls on their own. They took with them just a small part of what the Ragdoll was intended to be, just a few colors and patterns. Eventually they petitioned for acceptance in some registries and were accepted. RagaMuffins continued to be bred in isolation outside the cat fancy during that twenty year period under IRCA. In February 1994 another large group of breeders left the originator and petitioned for registry as RagMuffins and were accepted. Why did we change the name from Ragdoll to RagaMuffin? Simply, there is a valid trademark on the name Ragdoll held by the originator IRCA. No one can legally use the name without the permission of the owner. We feel as a matter of principle the trademark should be honored. Since we have the highest regard for ethical standards and believe giving our word stands for something important, we have honored our contracts and changed the name of our breed to RagaMuffin. Many people do not know that the original cats were not blue-eyed color points. They came in a variety of colors and patterns. The breed was developed with the intent to produce the finest feline companion. Personality and temperament were most important, than coat color. The pointed pattern appeared much later in the breeding program as an addition not a replacement. This breed is not limited to specific colors or patterns. They come in every color and pattern which can include solid, tabby, pointed, mink and sable. The eye color will vary too and can come in blue, aqua, odd-eyed, gold and green. 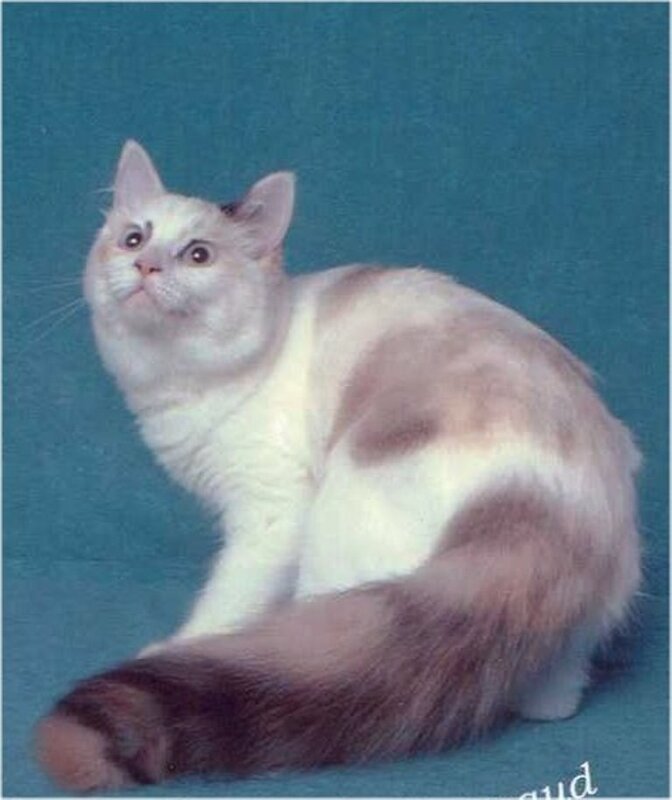 RagaMuffin breeders believe non-colorpoints as well as the pointed cats are all valuable to help preserve the breed. Your RagaMuffin kitten will grow to be one of the largest cats with an easy to care for, medium to long, full coat that does not mat. It has a soft rabbit-like texture. The fur tends to grow straight out from the body, enabling you to rub against the grain, which they love for you to do. They enjoy having their tummies rubbed and will often lie on their backs in invitation. These huggable, lovable felines have the ability to go limp in your arms. Maturity is reached between four and five years of age, and the ragamuffin remains playful throughout their adult life. Long time Breeders and Fanciers of the RagaMuffin believe that it is the most heavenly pet available. They tend to bond with their owners. Unlike many breeds, the RagaMuffin will crave attention from their family members. Most of them will develop traits usually associated with puppies, such as: following their family around the house, waiting for you to come home at the door. Ragamuffins are very intelligent, they are easily taught to walk on a leash and may be taught to do tricks such as fetching, rolling over, sitting up to beg, etc. 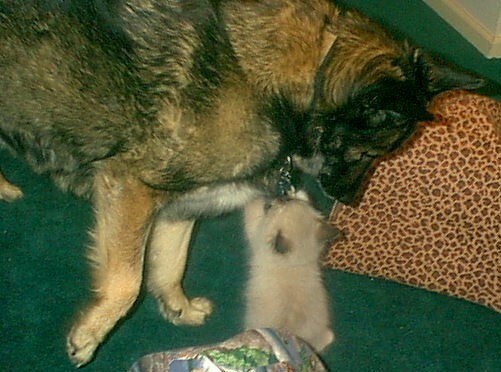 They get along well with children, dogs and other cats. Having been bred for an extremely docile nature, the ragamuffin thinks everyone should be their friend.